Take the ridiculous exercise known as “the burpee”. This is another exercise you should avoid. That’s just one example. There are a lot of others. 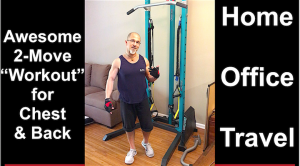 The point I’m making in the video is that we must be wise and “do our fitness training” in a way that protects our joints – NOT wears them down – and doesn’t put them at high risk of injury. 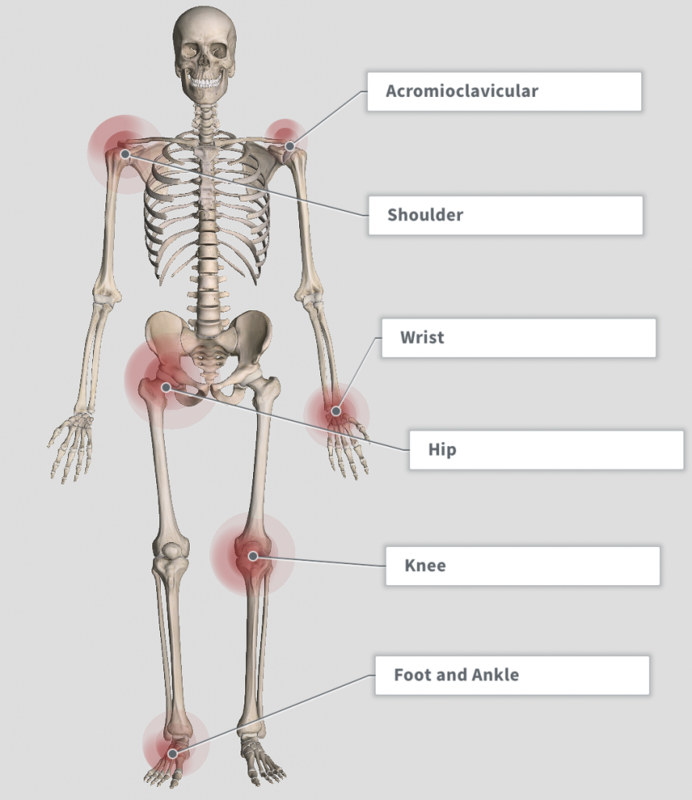 When the joints are hurting or “broken” – it takes away our ability to move properly, and sometimes, to move at all. We need to be able to move well in order to live well. Can you think of one person who will benefit from seeing this video when you hare it with them? Just use the colorful buttons below and beam it over to them right now. They’ll love ya for it. 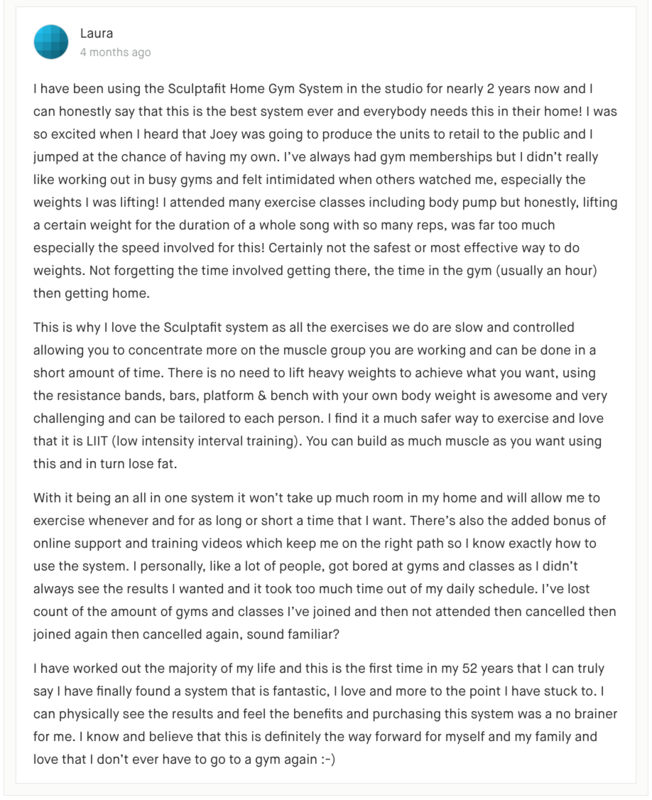 Laura has since moved to our local area of Saint Johns/Jacksonville, Florida and has been a SCULPTAFIT Studio client since opening day back in the Summer of 2016. She trains with the SCULPTAFIT Coaching Team 2-3 times per week – in the amazing LIIT group fitness training classes run by Master Coach Corinne, Nikki, Kimberly, Joan and Madi. Any questions, comments or thoughts?? Just post below – we’d LOVE to hear from you! Resistance bands are so under-rated. 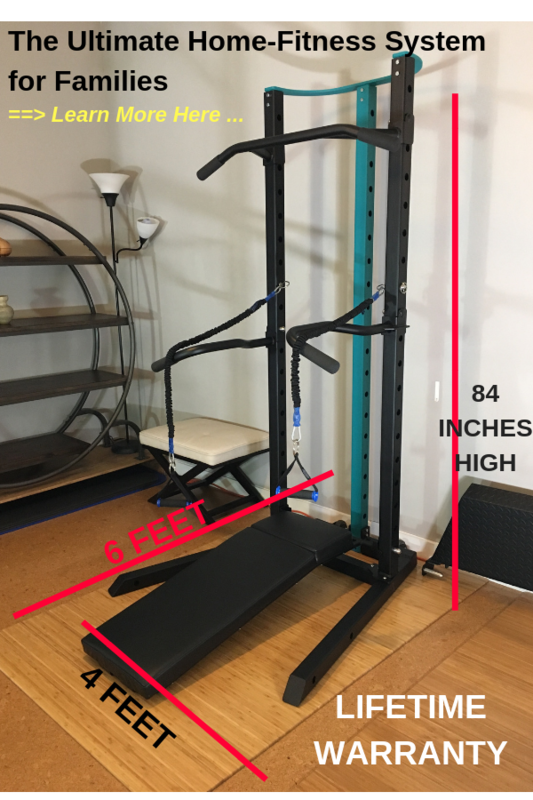 Resistance bands are AWESOME – if, I say “If” you know how to use them properly – AND they are high-quality bands made to be used. And 2 exercises can make for a mini-workout – if, I say “If” you know which exercises to do and you do them PROPERLY. 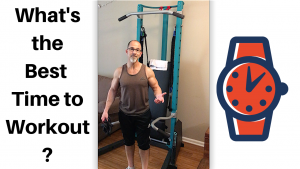 In the video above, I demonstrate a very simple BUT very effective “mini” training session that can be done in mere minutes, at home, at the office or at a hotel if you’re on travel time. I made the clip for the business crowd on LinkedIn, where I originally posted it (see embedded post below) – and thought it would also be a good idea to share here with you. Any questions, comments or thoughts? just post below, you know I love hearing from you. This video may not be the entire answer – but it does hold a few pieces of the puzzle. Click ‘play’ and as you watch – think of someone else who needs to see & hear this message and share it with with right now. Just use the ‘Share’ buttons down below. 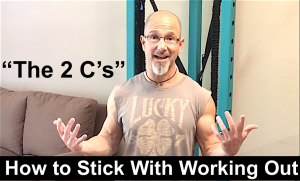 These 2 C’s may be all you need to stick to your workout routine – or they may be 2 of the key elements you’ve been missing… (I’ll talk about a few other key elements in a future video). That enables us to be “consistent”. 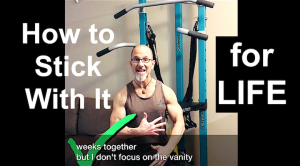 When we are consistent (also with good nutrition habits & food choices) we stimulate positive results and improvements that fuel our desires to keep “sticking with it”. And when you program your mind to place those priorities in the “big picture” of your life – then your actions are far more likely to be guided by those meaningful reasons why. Convenience and consistency play a part in any successful health and wellness journey. So, think of them as key ingredients in your overall fitness plan. Any questions, comments or thoughts? Just post below and let me know. You can also read the full text version right here (below). Disclosure: For some readers this will be as clear as day. For others it will be quite abstract and ambiguous. I’m attempting to explain a process that took place within me, in the space between my two ears, over the course of years, maybe a few decades. Did it have to take that long? And that’s one of the main reasons I’m putting it into words here, as best I can. I know that this story of reflection will help other readers shorten their time to success and help them bypass many unnecessary obstacles and potential blocks. So, in my head, I wrote this letter of agreement to myself. Today, I place highest priority on my health. Not on washboard abs, a sculpted chest or muscular arms – but on my overall well-being – my total wellness. The quality of my life and longevity with strength and vigor are my guiding lights. And my decisions, choices, actions and habits are guided by those lights. I fully admit, I don’t like the way I feel after I’ve eaten too much and I don’t like how I feel after I’ve consumed too much alcohol or sugary beverages. Although it all tastes great and feels good going down – I do not like how I feel, function and look afterwards. I also do not like the negative impact those repeated actions and habits have on my health and well-being. I am changing all of this from today, forward. Seeing my health & medical vital stats slowly get worse every year is something I am not proud of, and vow to change that starting today. What goes on inside my body dictates the quality of my life from this day forward. My health impacts every aspect of my life. I deserve to be in my best health and my loved ones deserve to have the best, strongest and most reliable version of me in their lives. It is my responsibility and mine only – to ensure that I live up to my word that I am declaring officially today in this agreement. I will refer to this agreement whenever I feel the need to remind myself. Or share it with others for their benefit and well-being. If by some chance you are reading this right now – don’t let it be a waste of your time – let it be something of significance to you. And share it forward to let it help someone else, as well. I’ve come to realize that there are so many outside forces in our society that either blatantly, or ever so subtly and insidiously, take us, or keep us, off track and and drifting in behaviors that are self-destructive and self-abusive – but since almost everyone is in this mode of living, it seems to be normal. And maybe it is the norm – but it surely isn’t right and it certainly isn’t healthy. The evidence is clear, when we just observe humans coming and going in daily life. And we consider the overloaded state of our medical system. So I am totally fine being abnormal. I thoroughly enjoy it and I am totally at peace being of a different mindset than the collective drifting crowd. Yes, I’ve been an emotional eater. And I will continue to be – but I will change the cause and effect of the emotions I allow to influence my actions. My desire to live in health and strength will fuel my emotions that drive my proper actions. My desire to avoid the actions that outside forces, people or companies what me to take, will fuel my emotions that drive my actions aimed at the outcomes I want for myself, not what others want for them. I will remind myself of the pain and self-disgust I put myself through during the times of excessive and unnecessary overeating and drinking. I will remind myself of the fear and disgust of seeing my health profile get worse each year. I will let those thoughts fuel my new mindset, my new paradigm, my new view of my place in this world and how I will live the moments of my life in it. And if you know someone (or several people) who will benefit from reading this today, then do all you can to share it with them, right now. This question actually highlights one of the main reasons why people hire me for private 1-on-1 remote coaching. Hi, I’m also in my later 40’s and struggled with being fit my whole life. I was never significantly overweight, just never fit, never wore a swimsuit much and never a bikini. This last year has been really hard on me with job changes, which result in schedule changes, and other major disruptions that made it hard for me to be consistent. I’m about 15 pounds heavier that a few months ago because I had to go out of town for an unexpected funeral of a close family member. After eating at restaurants for a couple of weeks, and then the holidays it’s been really hard to get back on track. I keep doing little things to build momentum but not enough to lose weight after life piles up on me. I have your exercise program and meal plan but when I make a mistake on the healthy diet I have to start over. When I miss a day for the exercise, I sort of put it on hold and think I’ll start it later when I get through the next problem thrown at me and for the last few months – and I just haven’t been able to really make much progress because of that. How can I keep myself going when I have disruptions and stay in the mindset that will help me stick with it. Anything you say can be helpful and thank you in advance. Do you ever struggle in a similar way as “Peace Lover”? If so, please share your specific struggles in the comment box below. And if you know of anyone who will benefit from seeing this post today, please share it with them now. Click play, enjoy and think of at least one person who will benefit from hearing this – and share it with them asap. 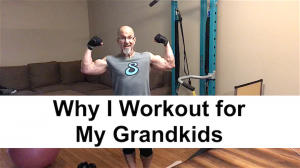 While those are a nice extra benefit that comes with proper exercise and healthy nutrition – I’m actually doing this so I can hike, paddle-board, swim, kayak, run, fish and play hard with my grandkids. ==> What are the “real” and meaningful reasons YOU exercise and eat right (or want to)? If you don’t have any values-based reasons why – then it might be the reason you don’t stay consistent with your healthy habits for the long term. If you want the benefits of healthy lifestyle habits, then they MUST become a regular and common part of your daily living. Your mindset has to place priority on the things that lead you to good health, optimum wellness and vibrant longevity. What’s the Best Time to Workout? What is the Best Time of Day to Exercise? 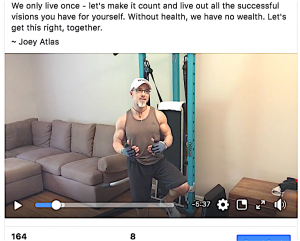 In this week’s ATLAS Fitness Tips video, I reveal the #1 answer… The REAL Truth. And please do post it on your facebook page as well. The more people who see it the more people you and I can help. 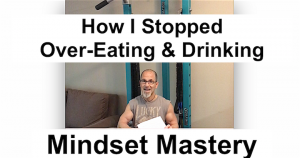 ==> What fitness or nutrition myths have you dazed, confused and frustrated? Post in the comment box down below and let me know. There are more misleading fitness myths, of course. And I’ll be covering those in future videos.